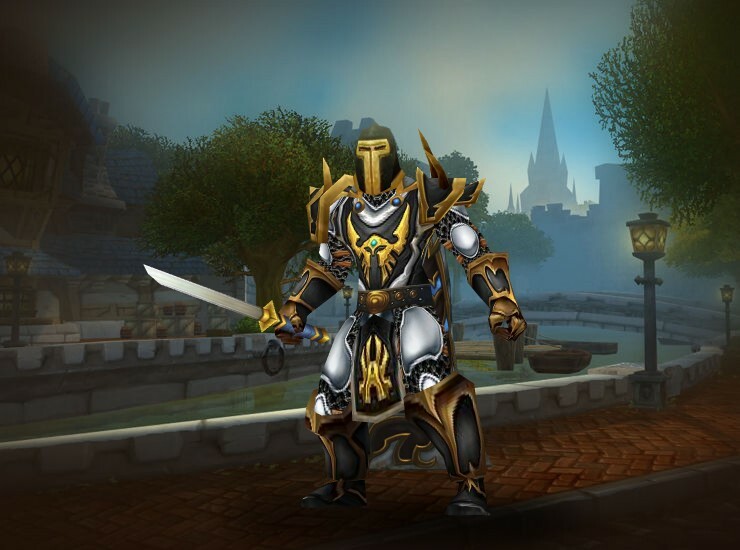 Probably one of the best 'simple' transmogs I've seen yet. Loving the bright/dark contrast in the under/over armors. I wouldn't recommend a big flashy weapon, and though I'm not too partial to the katana, a simple sword would work perfectly.